Testa Produce is now officially LEED Platinum Certified. This certification also marks Testa as the First Platinum Refrigerated Food Distribution Facility in the United States. This is an incredible accomplishment and we are so proud. This would not have been possible without the hard work of the numerous people involved. Thank you for everything and we look forward to sharing this accomplishment with all of you! 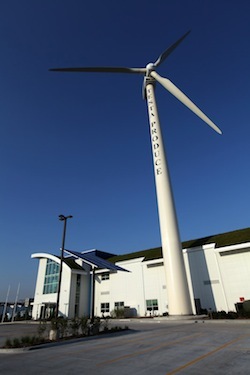 On mulitple days throughout the past year, our turbine has generated enough energy to power our entire building.